Whether it’s a cold Winter morning or a cool breezy evening, we’re all looking forward to a nice warm shower to wash away the stresses of our day. Frustration kicks in when you realize you’re going to have to take a freezing cold shower because some electrical component is malfunctioning. To make matters worse, you have a security system that’s no longer working properly, and your safety is now at risk. Quick and efficient repair services, like an electrical repair in this situation, is needed to get you back living your life, with one less worry. At JEC, not only do we offer electrical repair but security system repair. All our well-trained technicians are ready to help and can assist with any repair services for nearly every type of electrical equipment or security system. We make it our mission to provide top-quality services at affordable rates, offering upfront pricing and rapid services. 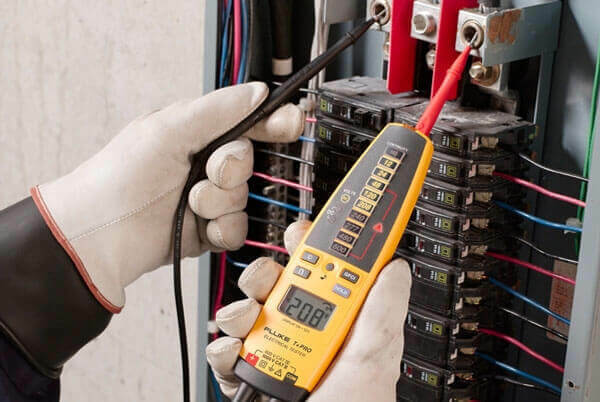 Your home or your business has thousands of electrical connections and each one of them needs to be functioning properly for other equipment to do its job. Chances cannot be taken by putting off necessary electrical repairs because the effects can lead to more serious issues. We can’t risk putting anyone in danger of faulty wires, shocking outlets, or any other dangers of getting electrocuted because of repair services not being done. Don’t get shocked by trying your own repairs and let us shock you with how fast, efficient, and affordable our repair services are. We specialize in electrical outlet repair, electrical panel repair, lighting repair, and wiring repair. Electrical Outlet Repair – Electrical outlets and switches cause the most wear and tear on electrical systems. Electrical Panel Repair – The most tricky and dangerous; never try fixing it yourself, as there is a huge risk of electrocution and damage to your electrical system. 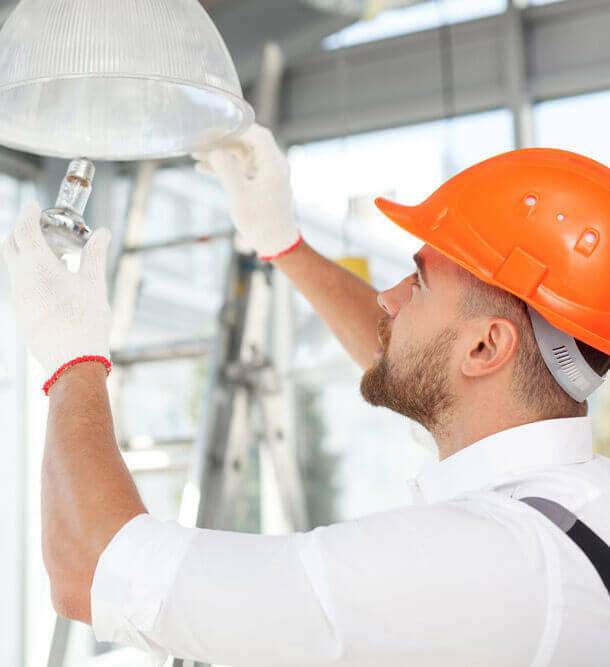 Lighting Repair – Our technicians are experienced in different types of fixtures within a variety of spaces for lighting repair services. Wiring Repair – Faulty wires are not only dangerous, they're costly. Proper wiring repairs can keep patrons safe and your electrical bills low. Here at JEC, we offer all the electrical services you need because each one is dependent on the other to function. 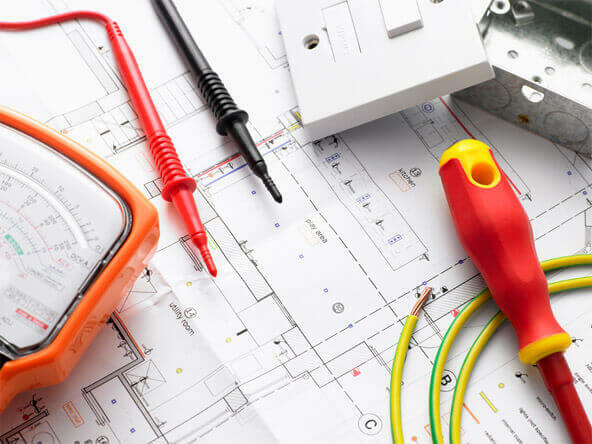 Allow our highly-trained electricians to provide you with the best repairs Orange County can find. Whether it’s indoor or outdoor, our technicians are prepared to repair it all without breaking your bank. Count on us to be there in a moment’s notice when your electrical equipment begins to break down. Not only do we get our jobs done fast, we get it done right the first time. Safety - that’s our number one concern for all our electricians and that’s the motto our company likes to live by. One wrong move can lead to a downward spiral of accidents and malfunctions. When it comes to your security, we don’t leave anything to chance. Trust us for your security system repair because your safety is our main concern. Our well-versed technicians thoroughly inspect and repair any security system they come across. We also carefully test each security system to confirm it’s working properly. We identify, inspect, repair, and test to determine your security system will not need another repair for a very long time. With 35 years of experience, we’ve seen all types of security systems over the years and we’ve repaired every facet of surveillance equipment. If you’re not sure if we repair your type of security system, contact us and we’d be more than happy to answer any questions you may have. Here at JEC, we don’t want to just meet your expectations, we want to exceed them.